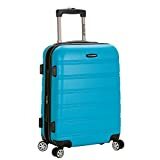 When you are searching for the best carry-on luggage that suits your needs you might consider different categories. 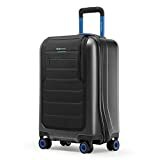 While the all-time best carry-on surely comes with different features than the smartest or the funniest luggage it also boils down to the price. 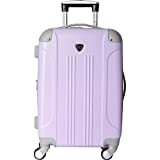 In the following article, you can see some categories that are suitable for most people when having to decide which carry-on is the best carry-on luggage for you. The Samsonite Cosmolite can be considered as one of the all-time best carry-on luggage. When buying this sophisticated trolley, you can be sure that it is going to serve you for more than one travel. The patented material Curv is only used by Samsonite and can be considered as the most advanced material for luggage at the moment. Of course, the Cosmolite comes with a quite high price. Therefore, the Samsonite Cosmolite is best suited for frequent travellers who rely on anytime working luggage. The Travelers Club Luggage Modern is one of the cheapest carry-on luggage around. Surely, you have to sacrifice quality for this low price. 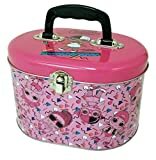 Nevertheless, for travellers who do not intend to travel often or do not rely much on the carry-on can be happy with it. 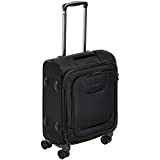 13" x 10" x 20"
The Rockland Luggage Melbourne is the bestseller carry-on on Amazon. This tells us that most people are happy with this low budget luggage with a good enough quality. Of course, as a frequent traveller, you might not be pleased when it breaks after your third travel with it but most don’t travel that frequently. Not only is the Titan Germany X2 very good looking but it is also very lightweight. 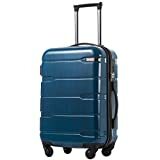 The built quality is superb and works for many travels. Of course, it’s more expensive than the cheapest carry-on luggage but the Titan X2 will serve you longer. The quality is great! Lightweight at just 5.3 LBS!! A very humorous luggage is the American Tourister Star Wars luggage. For a real Star Wars fan, this luggage surely is a must. The design is quite funny. And maybe with the American Tourister Star Wars, the force might be with you. The truly smartest carry-on luggage is the Bluesmart One. With its built-in battery pack, scale and digital lock you are on the edge of contemporariness. Because of these versatile features, the luggage comes with a certain price.